AC Milan midfielder has revealed his dream to play for Premier League club, Manchester United, according to reports. The 21-year-old was linked with a move to United last summer but instead completed his switch to the Italian giants on a two-year loan deal. Kessie has since then featured in 25 of the 26 Serie A games for the San Siro outfit in which he has scored four goals and bagged three assists. Also, the Rossoneri have an agreement in place to make the Ivorian star’s loan deal a permanent one at the end of 2018-19 season. However, this hasn’t stopped the highly rated midfielder to express his admiration for the Premier League and his ‘dream’ to play for Manchester United. The 21-year-old also admitted that he won’t ‘refuse’ to joining Chelsea, but denied any rumours that linked him to Milan’s Serie A rivals, Roma. While talking to Tuttomercatoweb, Kessie said, “I did not hear any rumours in January about Roma, I was away for the African Cup so I just thought about playing. 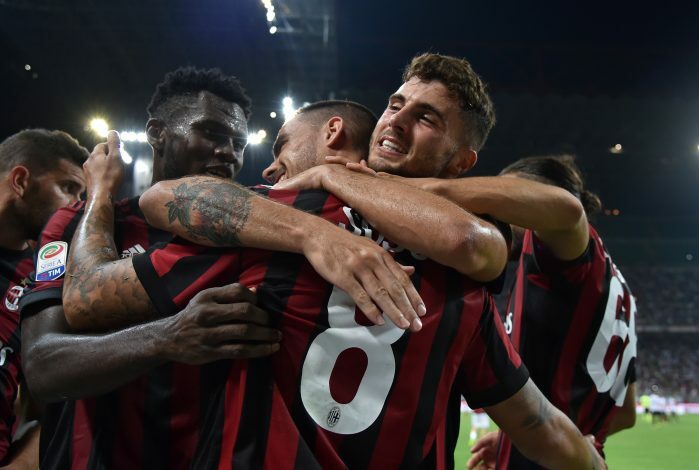 AC Milan are set to take on Arsenal in the Round of 16 of the Europa League next month which could prove to be the perfect setup for the Ivory Coast international to showcase his skills to the Premier League fans.